Star Wars movies are special. They are unlike any other film franchise because these movies aren’t just seen as movies. There is a reason why four decades after the first film appeared out of nowhere, people still speculate about (and hunger for) its sequels, why dozens of excellent spinoff novels have been written to fit into the Star Wars universe, and why every sequel amasses an enormous fortune, whether or not people actually like it. People are seeking something from Star Wars. We all are, even if we’ve never admitted it or thought about it very deeply. Like Luke Skywalker staring at the binary sunset on the horizon of Tatooine, we yearn for some vague notion of adventure, but we can’t quite find the words to describe it. Well, I’m going to give you those words so we can finally come to terms with what we have been seeking for all these years from Star Wars – and why we’ll never get it. Before I explain what I’m talking about, I would like to disabuse you of one notion that may be on some people’s minds. I am not talking about practical effects. I remember when The Force Awakens was in production, and the filmmakers touted the fact that they were filming in actual outdoor locations instead of purely on a sound stage in front of a green screen. And they were using makeup effects and puppets instead of mainly CGI creatures. It’s certainly nice to see practical effects being used again on a grand scale, but those are not at the heart of the matter of what Star Wars is all about. They are simply window dressing. With that out of the way, let’s move on to the main attraction. Here is what we want from Star Wars. We want to return to our innocence while knowing that it is not so innocent after all. What do I mean by this? I mean that we are looking at Star Wars backwards. We want to relive the simple fun and pleasure of A New Hope, but we want it through the prism of The Empire Strikes Back. When audiences first saw the original Star Wars, they had no idea that there were any further stories that needed to be told. It wasn’t even called A New Hope, nor was it assigned an episode number. It was a self-contained film that could have ended right there with Luke Skywalker and Han Solo receiving their medals, and it would have been completely satisfying. That is a big part of that film’s enduring magic. It hints at a larger galaxy, but it is a small story and it is entirely accessible at the same time. Sequels can never do that. They have to be bigger than the original. They have to increase the stakes. A New Hope is not the Star Wars we’re looking for. The original Star Wars film is something that we think we want in its sequels, but we’re looking for it in a way that makes it impossible to ever find it again. In Star Wars, we see ourselves in the roles of Luke Skywalker, Han Solo, Princess Leia, Obi-Wan Kenobi, Chewbacca, and even C3PO, and R2-D2. They are all instantly recognizable archetypes and relatable on a personal level. We see lots of hints at depth to the characters, but they are broad enough to remain nice and simple. The villains are also clearly defined. We know who the good guys are and who the bad guys are, and there is no ambiguity or intermingling between them. But then came The Empire Strikes Back, and that film forever changed the simplicity of Star Wars. No longer were the heroes and villains so easy to identify. Yoda came across as a pest in the beginning before revealing himself to be a Jedi Master. And his status as a Jedi Master destroyed our preconceived notion of what one should look like. But the biggest shock came in the form of Darth Vader. In this film, he is irredeemably evil, killing his own underlings for even the slightest failure and torturing Han, Leia, and Chewie without any sign of remorse. After he brutalizes Luke and overpowers him in their first lightsaber duel, he reveals that he is Luke’s father. Like Luke, we can’t believe it at first. It’s too horrible a thought to even consider. This revelation changes everything about how we see the original Star Wars. It’s not so cut and dry anymore who are the good guys and who are the bad guys. Obi-Wan wasn’t honest with Luke about his father’s identity. He trained Vader, so it raises all sorts of worrisome questions. How did he fail so epically? Is Luke doomed to suffer the same fate as his father? And all of the people who Vader kills and all of his feelings about Luke are seen in a whole new light, as well. Once we know that Darth Vader is Luke Skywalker’s father, it is impossible to go back to our innocent frame of mind from the original film. We now see Star Wars through the prism of The Empire Strikes Back. There is no way to recreate the innocent adventure of the first film because even in a film like The Force Awakens, which tries to do that, we still have the foreboding sense that something sinister is at work and there is some painful revelation that is on the horizon. That film wastes no time in divulging that dark truth about Kylo Ren’s parentage. This again shows that there is no way to go back because it’s impossible to keep such a major plot point a secret for more than a single film. I am not saying that The Empire Strikes Back ruined Star Wars or anything like that. I am saying that it was a loss of innocence. It’s a film about growing up, and that process is often quite painful and filled with new ideas that change the way we look at the world. Nothing is ever as simple as we liked to think it was. This provides us with a greater capacity for knowledge and nuance, but it is tinged with regret for what we had to give up to reach it. So you see that the thing that you and I and everyone have always wanted from Star Wars is simply impossible to obtain. We will never have an innocent Star Wars adventure again. 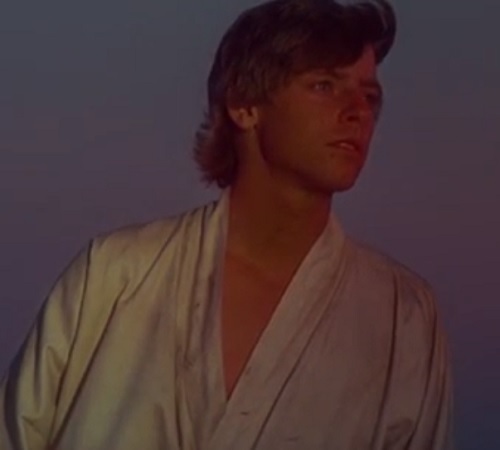 We will never be able to relive the childlike feelings we had when we first watched the adventures of Luke Skywalker. We can experience imitations of them as we watch superficial facsimiles of what we think we want, but they will never satisfy the deep craving we all have for something simple yet complex. It will always feel like what we are seeking from Star Wars was lost a long time ago in a galaxy far, far away. The image is the copyright of its owners. This entry was posted in Random Stuff and tagged empire strikes back, films, movie review, movies, science fiction, sequels, star wars. Bookmark the permalink.